Announcement: AltMFA to receive A-N research funding for Future Programme 2017! We are very pleased to announce that we have been granted funding by a-n (The Artists Information Company) for the funding of our new Future Programme for 2017. 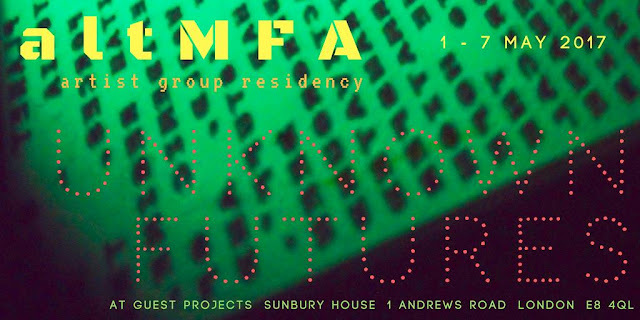 AltMFA is a peer-led art school based in London, established in 2010 as a free alternative to studying a university-based MA in the city. Its bursary award will fund a number of strands stemming from a framework of collective research and practice themed around ‘The Future’. 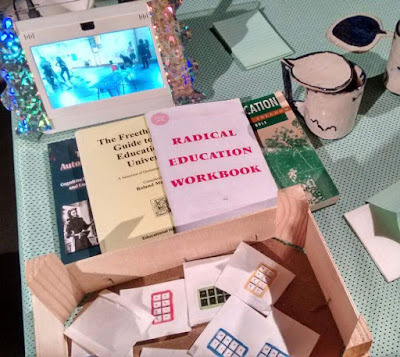 This will include a programme of visiting artist and expert lecturers who will lead talks, crits and workshops; a corresponding collection of critical writing and creative research responses to chronicle and share learning and ideas arising from The Future programme, with works published on an interactive website; promotion to enable expanded membership and greater public attendance at The Future programme. Since the beginning of the year a-n has awarded over £92,000 of bursaries to its Artist members as part of our commitment to professional development provision within a programme that includes events, online toolkits and expert guides.